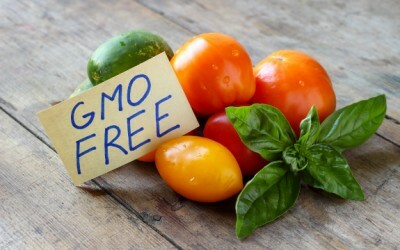 This ought to give Monsanto, Dow, Syngenta, and the huge food corporations a run for their suicide-seed money: A staggering 80% of consumers sought out non-GMO products in their survey. The non-GMO issue has emerged as a consumer hot-button according to market research, and this is largely in part due to consumer pressure and activism against Monsanto-like monopolies on seed, and the many organizations throughout the world who have reported on the true damage that GMO does to human and ecosystem health. Other important issues came to light in the survey, such as consumers looking for antibiotic free protein, but the GMO issue was of the highest magnitude of importance for consumers. It has become so important, in fact, that people even seek ‘non-GMO’ more than organic foods – and there is good reason why. 80% of participants seek out non-GMO products. LOHAS consumers remain price- and value-driven, with over 80% using either the same (43%) or more (38%) coupons. Half or more health-conscious shoppers will use more online printable coupons (53%) and retailer/in-store coupons (49%) in 2014. Increasingly, organic farmers are reporting GMO contamination through cross-pollination of their crops. A landmark case recently filed between two farmer neighbors in Australia exemplifies the threat of GMO to the food supply. GMO Compass reports that Big Ag want to minimize ‘pollen traffic; in order to be able to sell their goods, but consumers are too savvy for their lies. How can you stop Mother Nature? The answer is simple, and it would require that no more GMO is planted – ever. Sounds like a buzz phrase to me. I completely agree with your primary findings. The term “Organic” is proprietary to the USDA; there are variations of “purity” within the regulatory guidelines. Simply “Organic” represents that the product is at least 95% GMO free leaving 5% open to question. “Non-GMO” represents no detectable levels of GMO, which under the present levels of GMO contamination is a difficult standard to maintain. This rating may become impossible to maintain unless consumer pressure is increased by the complete refusal to purchase products that are questionable at any level. Non GMO and Organic are equally important to me. Boycott Monsanto!!! I think too many people think that being GMO free also means pesticides aren’t used and that is not the case. Pesticides are used on GMO free food. Our government wants to get rid of organic food so badly and that is why we need to support our organic farmers. For me, it depends. If it’s pineapple or avocados and they are locally grown, I might purchase them if they are not certified organic. But they absolutely have to be non-gmo!